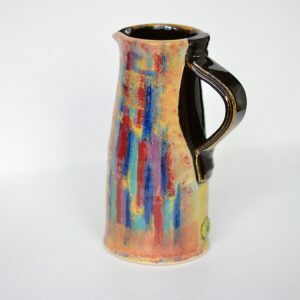 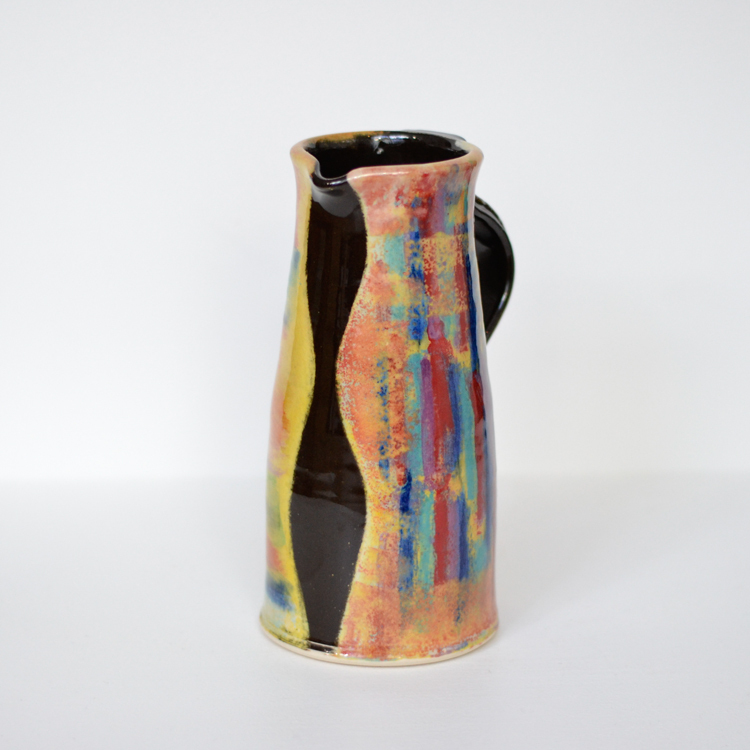 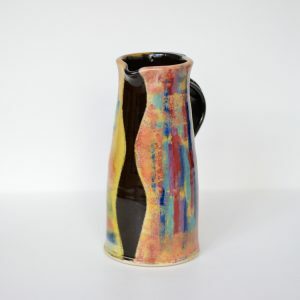 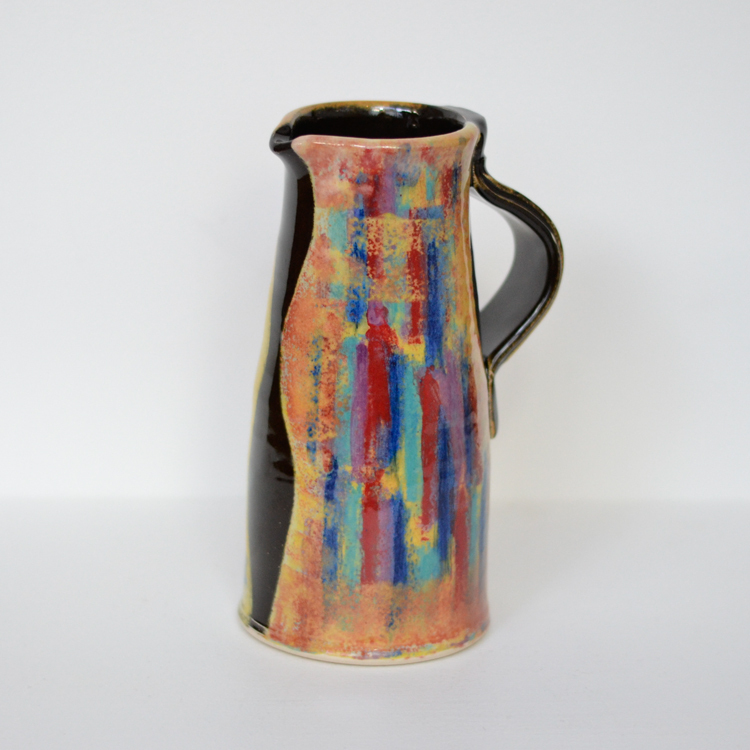 Medium sized jug by John Pollex. 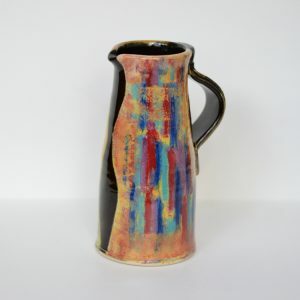 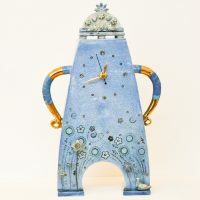 John’s distinctive colourful designs and high quality glazing is his trademark for many years now. 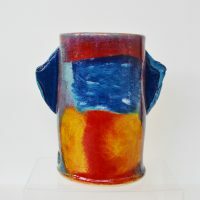 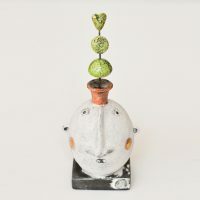 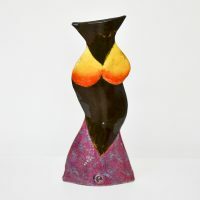 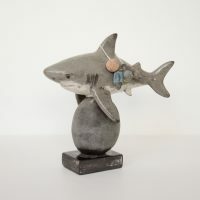 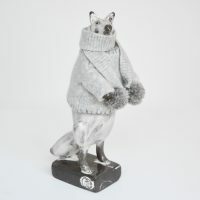 All of his pieces have at least two different aspects; turn it around and you have a new pot. 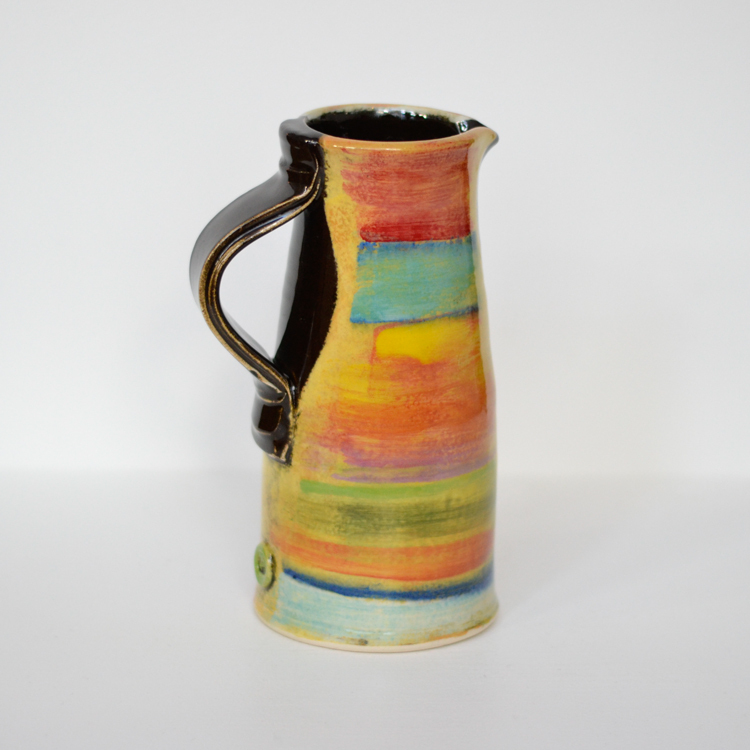 max width with handle 13 cm, weight 0.7 kg. 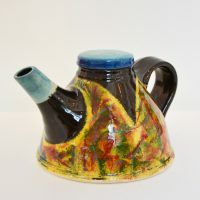 Potter’s mark.